Time travel is an idea of moving from one point of time to another by using a time machine. We have seen this concept in sci-fi movies a lot. It’s not possible right now, but there are various controversial theories like Einstein’s theory about space and time, which emphasize the significance of time travel. Who knows, sometime in future, it can all come true. 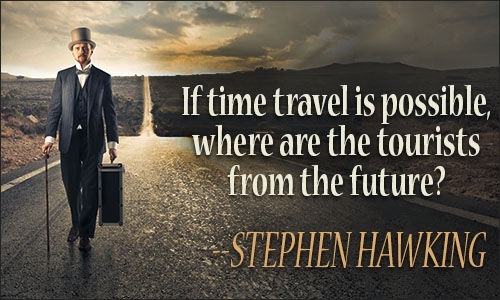 Let’s see what the world has to say about it in our list of quotes about time travel. Meeting yourself in the past is quite a fascinating idea. Time travel is really hard to understand. I really like the idea of time travel and calling in the past. What happens if the whole idea of time travel is possible? Music has the ability to take you back to time where it belongs. What would you do if you can travel into the future? It may be possible at some point of time. We need to understand why time travel is not possible. Our heirs would explore the infinite harmonies of the universe. Time travel cannot be ruled out! I wish that would be possible. Einstein's theory of relativity have made it possible. 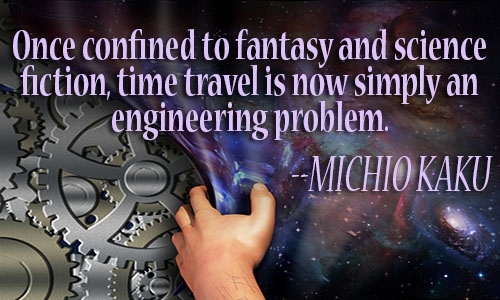 Time travel is not confined to fantasy and sci-fi anymore. There will be one day when we will find the technological way of time travel. It may take centuries to master this technology of time travel. The bottom line that we can conclude from these quotes about time travel is that it is not something impossible. Our world is not ready to welcome this terrifying weapon yet. The philosophical side of time travel.